This is Cy Thomas. His son Trevor sent me this photo. Thomas was a little known, well travelled player post-World War II. 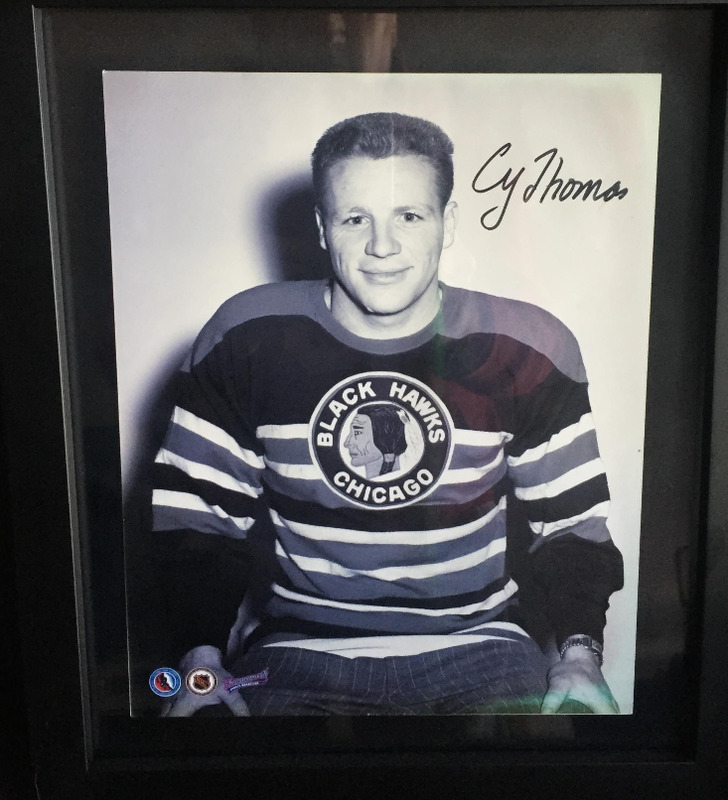 He played just 14 games in the NHL split between Chicago and Toronto in the 1947-48 season. He's probably best known as a footnote in one of the biggest trades in NHL history. Thomas a throw-in by Chicago in the Max Bentley deal that landed five regulars from Toronto. He didn't last in Toronto long. He was soon dispatched to a long, vagabond career in the minor leagues. 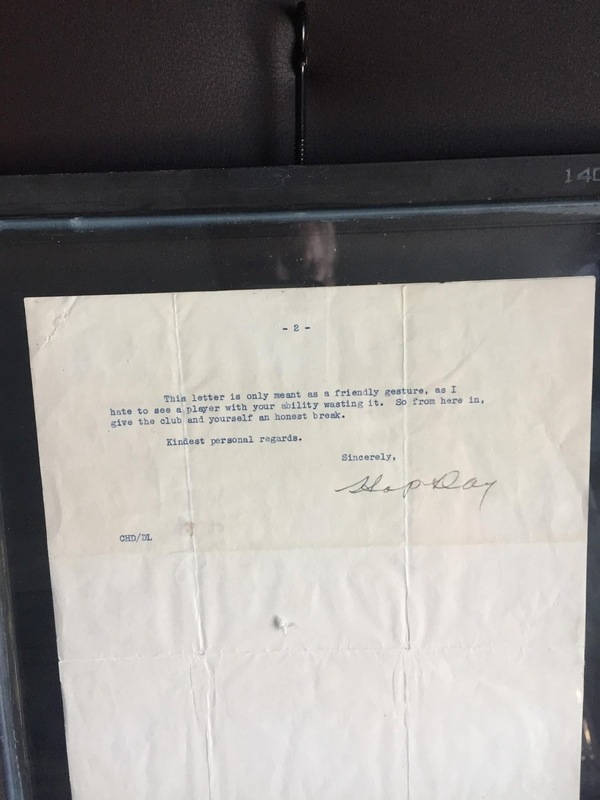 I don't image today's multi-million dollar players receive such letters nowadays, though they probably hear similar messages I'm sure. 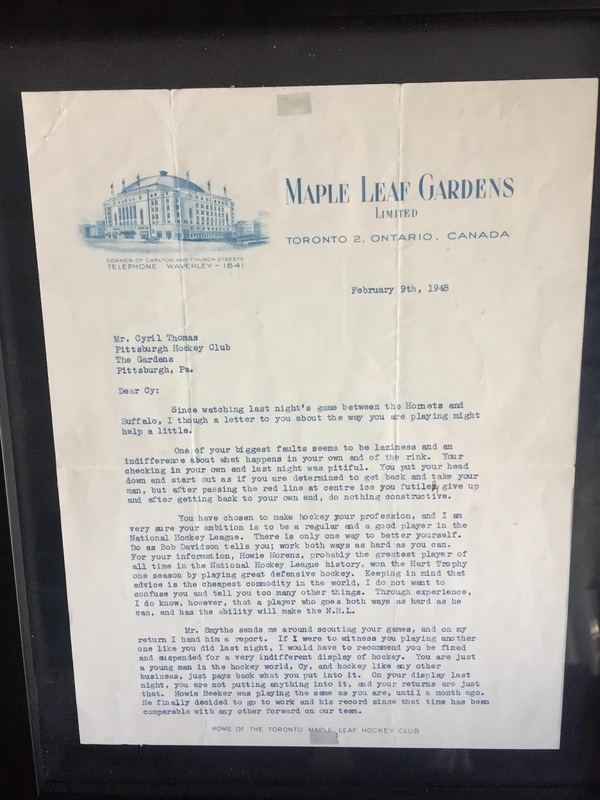 What the letter doesn't mention, and son Trevor does, is that a broken wrist also affected his father's standing with the Leafs. Cy Thomas's grandson Charley is a notable curler, winning world junior championships in 2006 and 2007. Olympic bobsleigh champion Kallie Humphreys is also a member of the family via marriage.